What Does Lamentations 3:26 Mean? 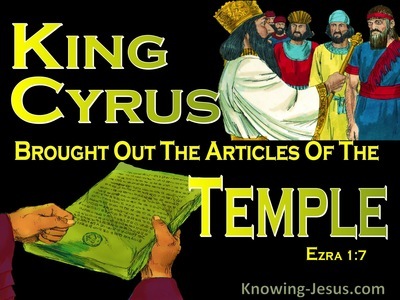 Jeremiah was a man whose message of repentance was rejected, and despite his earnest prayer for his people, he was to witness the children of Israel being sold into slavery.. the city of God being destroyed and the Temple of the Lord being raised to the ground. 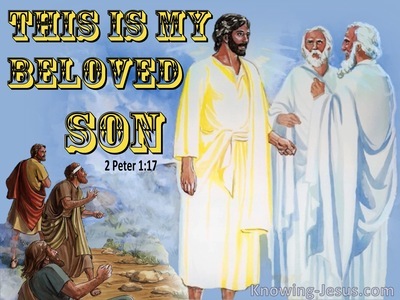 He is rightly called, the weeping prophet for he witnessed the rod of the Lord being used to discipline God's rebellious people and Jeremiah is discovered lamenting the hopelessness of the situation, that he and a tiny godly remnant were experiencing. Despite all the suffering, pain, hurt and distress that the prophet Jeremiah faced in life's school of affliction, the Lord was teaching him many lessons about the great faithfulness of the Lord and His never-failing mercies, which are new every morning. He learned the importance of trusting the Lord and waiting His timing.. despite the distressing circumstances he faced and the human insults that had for so long been hurled upon him. 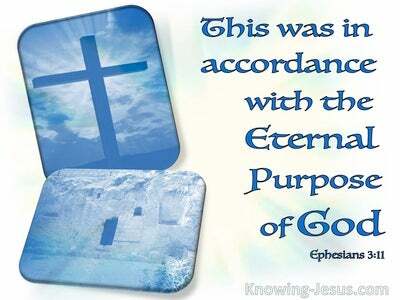 Jeremiah had faithfully proclaimed God' message to the nation, but their rejection resulted in indescribable tragedy. Nevertheless through it all, Jeremiah came to understand that the steadfast love of the Lord never ceases; and His mercies never come to an end. He discovered that divine chastening is an evidence of God's perfect love towards His people - even though the intense pain it often produces is deeply distressing. 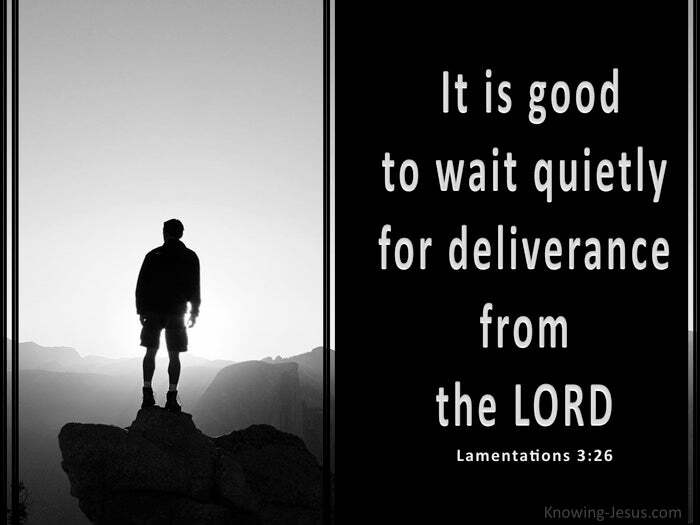 He came to the point where he could confess that it in the midst of the most distressing circumstances, it is good to trust the Lord and to wait quietly and trustingly for deliverance from God, which is promised to all who rest in the Lord and wait quietly for Him to act. 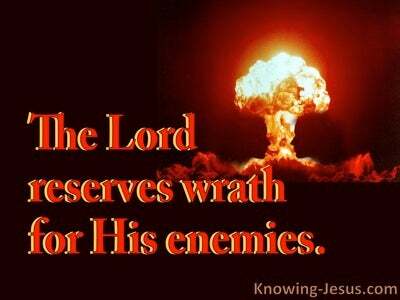 Christians today are facing some of the worst conditions that evil man can inflict on those that proclaim the glorious gospel truth. But the lessons that Jeremiah learned through his school of affliction are ones that we need to learn in the circumstances that we are called upon to face today - that it is good to trust in the Lord and to depend on Him. It is good to remember the faithfulness of the Lord, which is new every morning. 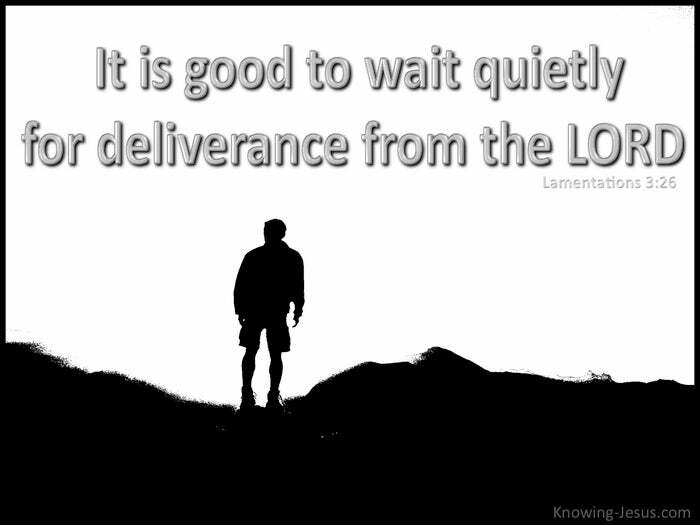 It is wise not to despise the chastening of the Lord or be weary of His correction, for the Lord disciplines the one He loves, and chastises every son whom He receives - and it is good.. very good, to wait quietly for deliverance from the Lord.